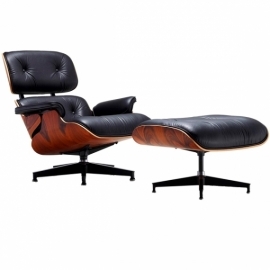 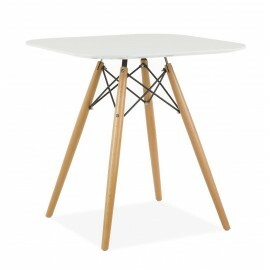 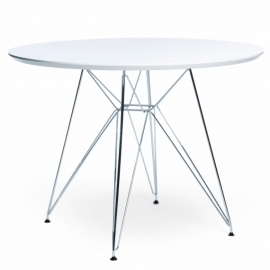 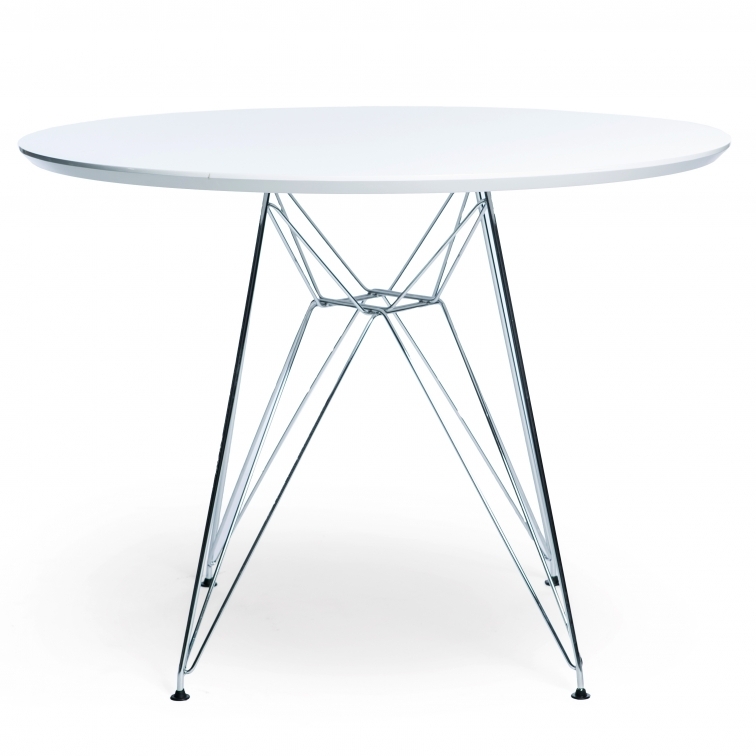 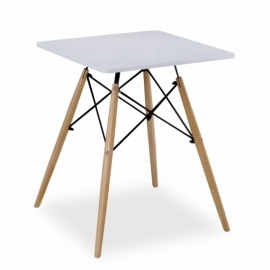 The Eames Style Table has become legendary. 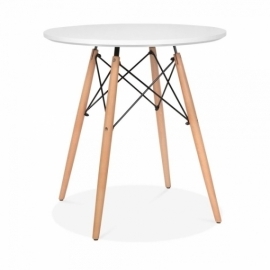 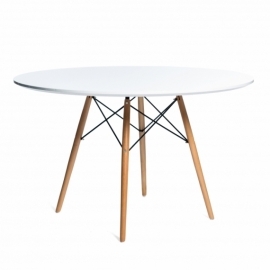 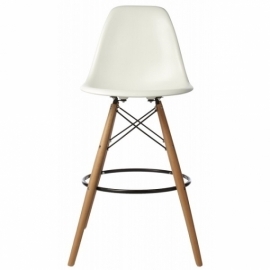 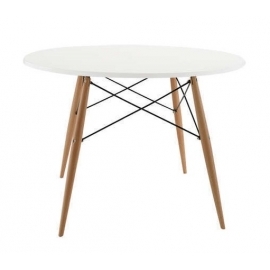 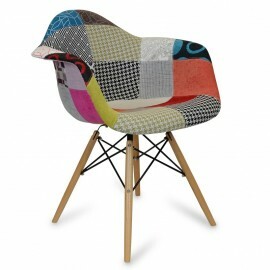 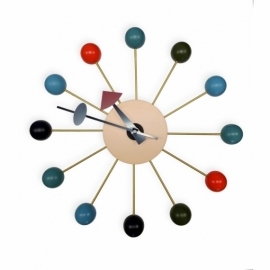 Inspired by the original, iconic DSW table designed by Charles Eames. 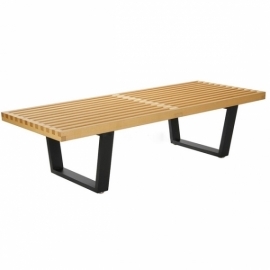 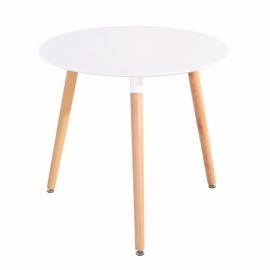 This high-quality table will fit perfectly in any room. 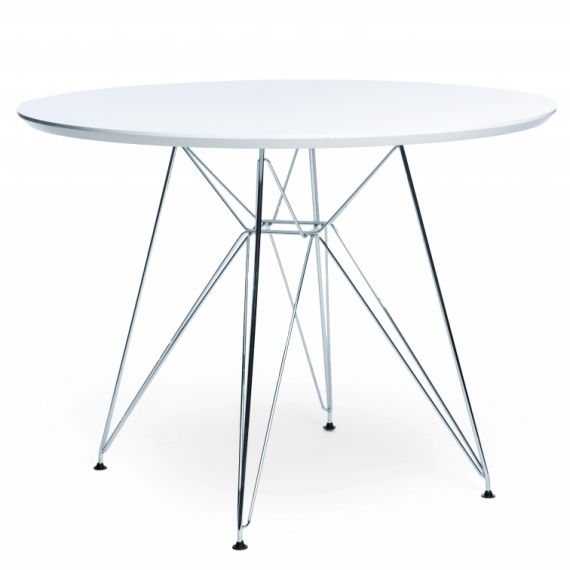 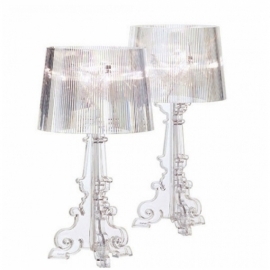 The base is constructed of chromed steel. 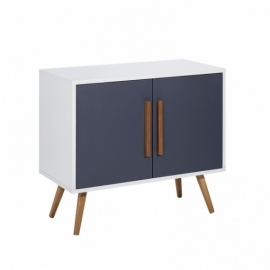 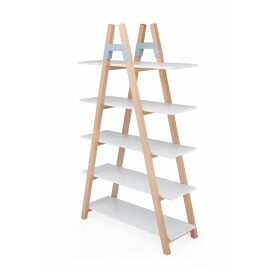 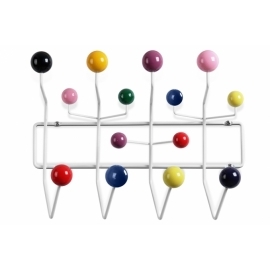 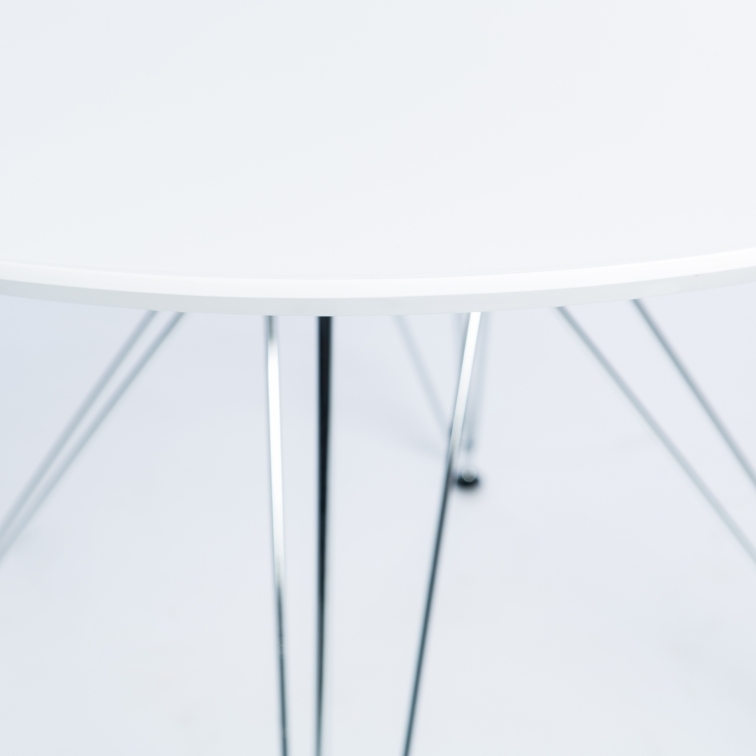 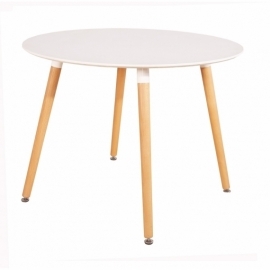 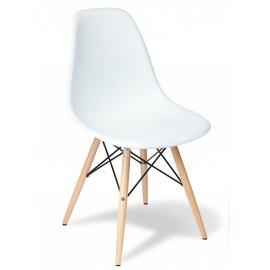 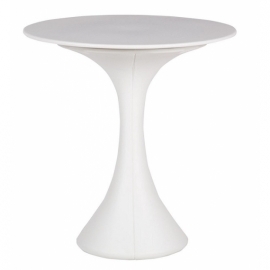 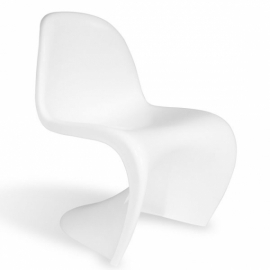 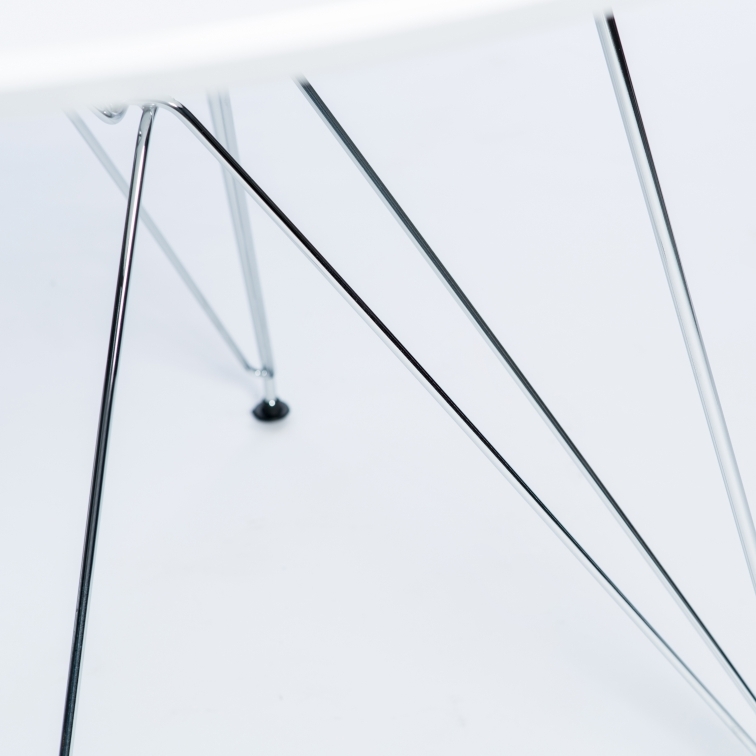 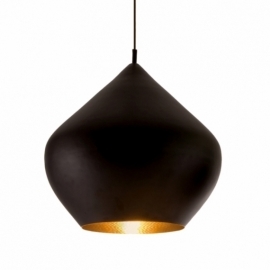 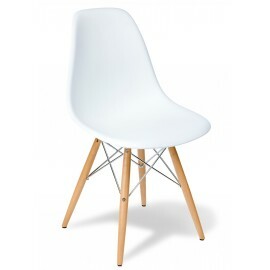 The round top is constructed of white lacquered MDF. 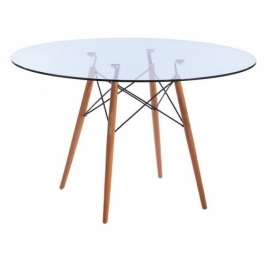 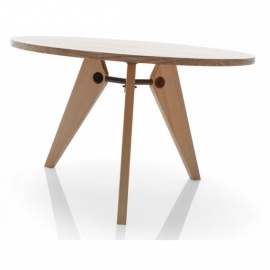 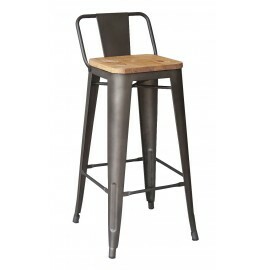 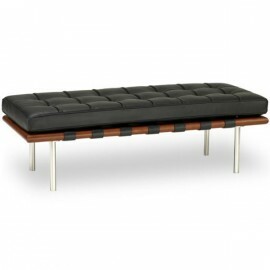 This quality table will bring refined style to your décor. 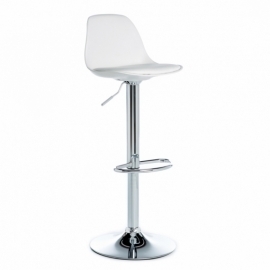 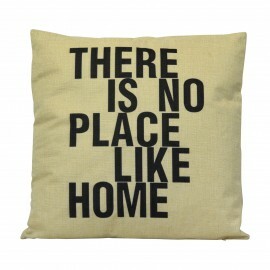 It comfortably accommodates 3-4 persons.